We know the myths and the jokes (thanks, Aunt Carol), but there truly is a correlation between what you eat and your eye health. What you consume on a daily basis affects your vision. Put that on your plate and…look at it. 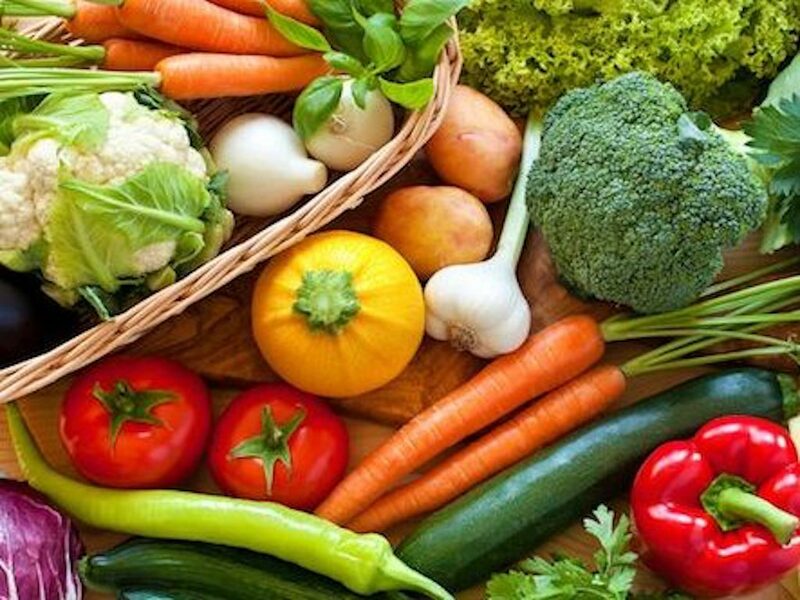 Maintaining a healthful and nutrient-rich diet can help prevent the development of Type II Diabetes, and therefore the onset of diabetic retinopathy (DR), which is the leading cause of adult blindness in the United States. Being mindful of our food choices can also help to prevent high blood pressure, which can lead to a multitude of eye diseases. Here are some of the nutrients found in natural food sources that can aid against dry eye, macular degeneration, cataracts and more. Lutein and zeaxanthin are natural antioxidants that function to neutralize free radicals. If left unbalanced, a high level of free radicals in the body can cause oxidative stress, a condition that causes harm to our cells as we breathe. These antioxidants, on the other hand, can fortify the retina and the lens against the damage that can occur in macular degeneration and in the formation of some cataracts. Lutein and zeaxanthin can be found in leafy greens including cooked kale, cooked spinach, broccoli, egg yolks, and other green and yellow vegetables. Omega 3’s are fatty acids that are a component of human cells, and provide a starting point for making hormones that regulate inflammation, blood clotting, and more. Inside the retina, they function to prevent inflammation and the formation of new leaky vessels, two disease processes that occur in macular degeneration and diabetic eye disease. Omega 3’s function to decrease tear evaporation while increasing tear secretion and aid against eye dryness. They may also assist with intraocular fluid drainage to regulate eye pressure and lower the risk for glaucoma. Omega 3’s can be found in seafood like salmon, shrimp and tuna, as well as in nuts, flax seeds, beans, tofu, and squash. Vitamin C functions to maintain and strengthen connective tissue like collagen, skin, and blood vessels. Strengthening blood vessels helps to prevent the development and progression of cataracts and macular degeneration. While vitamin C supplements and serums are common for skin care products to help fortify our skin’s elasticity, maintaining collagen also helps fortify the cornea. Vitamin C is also an antioxidant, and can be acquired from oranges, grapefruit, tomatoes, apples, bananas, peppers, strawberries, potatoes and other vegetables. Vitamin A functions to maintain the immune system, teeth, bones, and mucous membranes – and that’s just for starters. A form of Vitamin A, called retinal (slightly different than retinol), combines with the protein opsin to make rhodopsin which is essential for color vision and night vision. Vitamin A functions to create goblet cells which produce the tear layer mucin and prevent dry eyes. Vitamin A is also used to create melanin, a pigment that absorbs sunlight protecting against damage to the macula and lens. Like other vitamins, it’s also an antioxidant and can be found in meat, chicken, milk, cheese, carrots, sweet potatoes, spinach and more. So while all of these are amazing helpers for your sight, carrots alone don’t help you see better, no matter what the army told you. As an antioxidant, Vitamin E helps to protect cells within the eyes from damage. Vitamin E can be found in whole wheat, almonds, peanuts, hazelnuts, sweet potato and more. Zinc is a trace mineral that brings Vitamin A into the retina, thereby helping to protect the macula and lens. Zinc is acquired through a diet high in protein which includes meat, milk, cheese, yogurt, whole-grains and whole-wheat. How will you feed your eyes? From adding something green to your meal to snacking on nuts and carrots to swapping out white bread for whole-grain, the options for small changes are limitless. With a change in diet (plus the recommended 8 glasses of water a day), you can help prevent the onset of diseases like diabetes and fight vision concerns like dryness, macular degeneration, cataracts and more! See how these changes help you see the world. And really, Aunt Carol, lay off.